At the time of the Civil War (1861-1865) it made no difference if your allegiance was with the North or South when it came to patriotism. Both sides did their best to support their soldiers and their families. These were dire times and money was needed so women took to the cause and made quilts for sale. 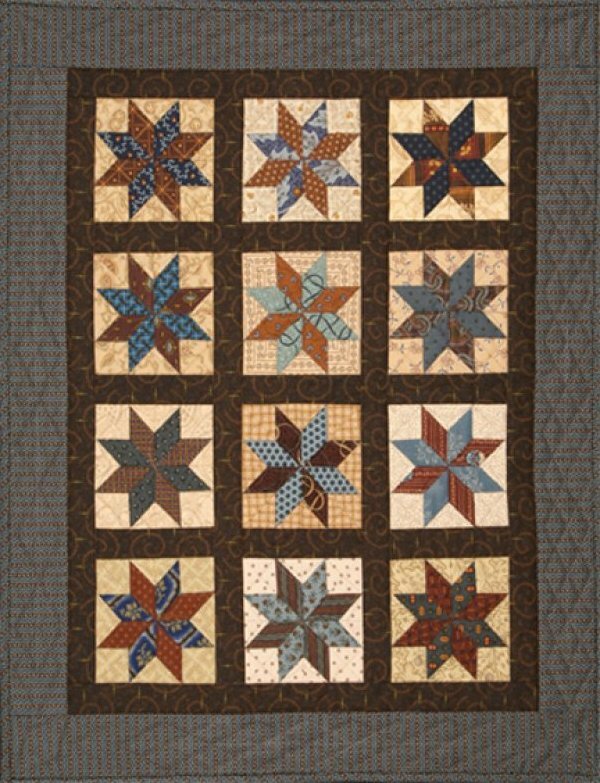 A quilt made from an 8-pointed star pattern was a popular style during this period in time. This rendition of an 8-pointed star is very easy because it contains NO 'Y' SEAMS and is all rotary cut.